STEM Stories - Family Times is an award-winning magazine with staff-written news, feature stories and artwork that inform and inspire Central New York parents and their children. On a warm morning in mid-June, as the final hours of the school year were winding down at Cazenovia High School, engineering and technology instructor Chris Hurd was putting the finishing touches on his 27th year with the district. But it wasn’t the upcoming summer break that had him energized—it was the classes that he still had to teach that day. Using hands-on problem solving to teach science, technology, engineering and math—commonly known as STEM—has become a focus for educators at all grade levels. Methods of teaching the separate, related subjects encourage learning through trial and error, with teachers guiding students’ efforts. Hurd was one of the first teachers in the area to participate in Project Lead the Way when Cazenovia began offering STEM courses in 1999. 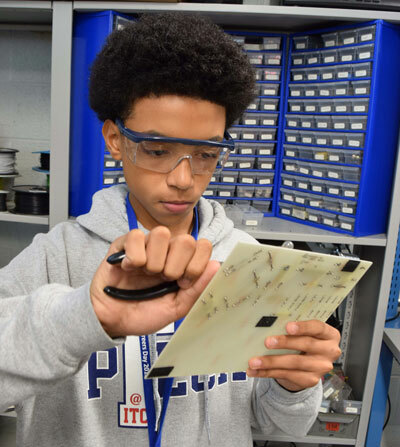 PLTW is a nonprofit educational organization that emphasizes student exposure to problem-solving strategies and critical thinking through computer science, engineering and biomedical science curriculums. Today, Hurd is a PLTW Engineering Master Teacher—one of just 350 nationwide—helping to develop the curriculums and teaching other teachers. He was one of five educators recognized nationally this year with PLTW’s Teacher of the Year Award. Hurd, a father of two, says programs like PLTW can have widespread influence on the modern classroom. While the integration of science, technology, engineering and math education may not be as far along as some experts would like, Hurd says opportunities for interdepartmental collaboration are growing. With these skills, students can, potentially, be marketable in the workforce with fewer years of college education. Kristen Angelo was a civil engineer before becoming a science and engineering teacher at LaFayette Central High School four years ago. Angelo was inspired to teach after participating in student outreach programs through the Society of Women Engineers. Angelo now teaches four STEM courses at LaFayette, and engages her students on a higher level. 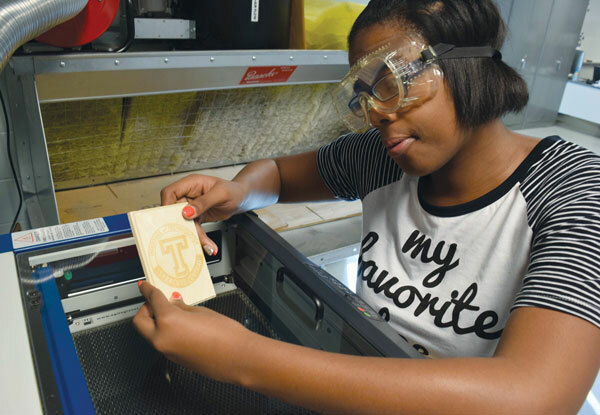 In Syracuse, career and technical education courses are available at all five city high schools. Students can choose the high school with offerings that best fit their academic interests, including programs in fields such as geographic information systems (GIS), cybersecurity and drone technology. Syracuse students can also work toward an associate in applied science degree in electrical engineering technology or mechanical engineering technology from Onondaga Community College through a six-year program that combines high school and college coursework with career preparation and work experience. Angelo says LaFayette is also encouraging more project-based learning in the middle and elementary schools. “I think you’ve got to start exposing students to these concepts at the earliest level,” she says. Students at Syracuse high schools do work in science, technology, engineering and math classes. This flipped classroom approach, in which the order of instruction and problem-solving activities is reversed from the traditional classroom model, has measurable benefits, Derrenbacher says. “Students can learn at their own pace, review materials as needed (while) class time is devoted to the more difficult concepts. Students are more responsible for their time management. (It) is preparing students for real life. It is authentic learning. Employers will expect this,” she says. through-grade-12 school in DeWitt, is planning an enclosed STEAM (science, technology, engineering, art and mathematics) park as part of a multimillion-dollar renovation project. Kendall Hoekstra, head of the lower and middle levels at the school, says it will include interactive tools for long-term projects, and a performance and presentation space. This project points to the school’s long-held emphasis on project-based learning. “When (students) engage in real life, hands-on problem solving, they can see how it relates to what is going on in the world around them and it helps them to feel connected to it,” Hoekstra says. 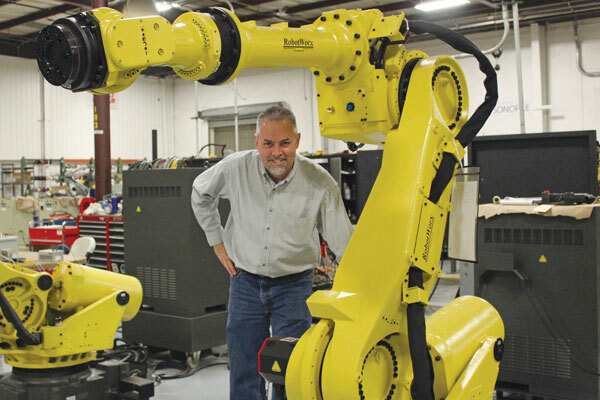 Nate Franz, executive director of curriculum and instruction for Syracuse schools, says local companies have helped make the district’s technology programs relevant to area employers. The Liverpool Central School District has also sought to incorporate STEM and project-based learning into classrooms at all levels. Debbie Jeneault, another of the five TACNY Outstanding Teacher Award winners, teaches fourth grade at Donlin Drive Elementary School. Teachers, she says, use a variety of strategies for getting STEM-based strategies for problem solving into their classrooms. For example, tools such as Science Notebooking are an interactive way to get students to research a focus question. “Teachers are finding that with this protocol, it really reaches all subjects. This is learning that can go everywhere—‘aha’ moments that they can apply to different subjects,” Jeneault says. The Syracuse district has an ongoing STEM-based partnership with the Museum of Science and Technology in Syracuse. And, last spring, students from Syracuse’s Danforth Middle School competed in a regional Marine Advanced Technology Education competition. The task was to design, build and operate unmanned vehicles capable of performing tasks in a cold, underwater environment. Each of the three Syracuse teams won awards and is eligible to compete nationally this November. Students from several of the district’s middle and high schools have participated in the State Vex Robotics Competition, held on the Onondaga Community College campus. Last spring, a team from Corcoran High School qualified for international competition. 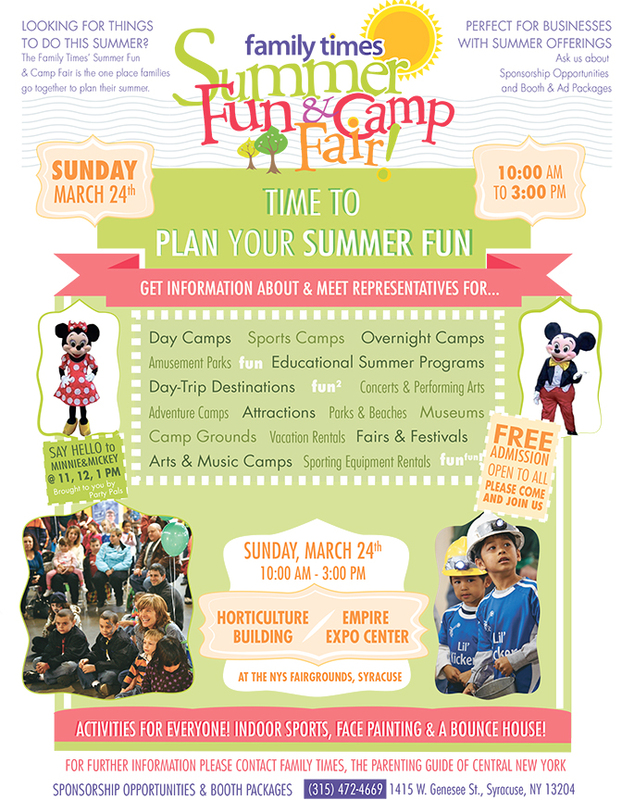 Several local schools and libraries now offer summer programs. One of the most popular is the STEM Camp offered as part of Onondaga Community College’s College for Kids. Scott Stagnitta, an engineering and technology teacher at Skaneateles High School who has offered the courses for 16 years, still gets a kick out of seeing kids figure out how to make things work—or why they don’t. In addition to the STEM camp, Stagnitta offers courses in aerospace engineering, Lego Mindstorms NXT and mechanical engineering. When kids start building the rockets, mousetrap cars or robots, they tend to focus on the end result. Stagnitta encourages them to consider each step in the design process. While Project Lead the Way offers intensive training for educators, teachers also get support and ongoing STEM-based development from various local sources. Derrenbacher, of Onondaga Hill Middle School, says social media and online learning communities offer easy ways for educators to stay connected and discuss emergent teaching strategies and classroom technology. She says professional development in these areas has improved greatly in recent years, inspiring teachers’ confidence in meeting the fast-changing demands of these disciplines. For Jeneault, at Donlin Drive Elementary, a collaborative approach to teaching and implementing the use of professional learning communities is crucial. “We can’t even begin the teaching process unless we collaborate on where we are going,” she says. 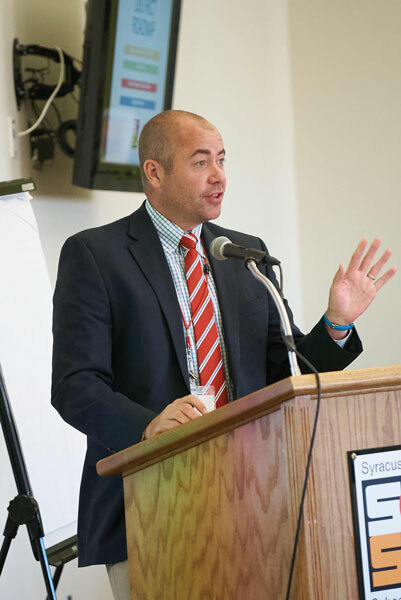 At the State University of New York at Oswego, Mark Springston, associate professor of technology, is a fierce proponent of teaching STEM education as an instructional method, or pedagogy. Springston, who has been at SUNY Oswego for 10 years, says his experience as a parent has also influenced his approach to working with the next generation of educators. His daughter, Liliana—now 10—wasn’t getting sufficient opportunities to develop STEM skills in elementary school.